At the Windows Phone Summit just few hours ago, Microsoft has introduced a new version of their mobile phone OS, the Windows Phone 8. – Multi-core processor support: As reviewers have noted, Windows Phone runs buttery smooth on phones with a single processor. But piggybacking on the Windows core provides support for multiple cores—so we’re ready for whatever hardware makers dream up. – Bigger, sharper screens: Windows Phone 8 supports two new screen resolutions—1280×768 and 1280×720, opening the door to amazing new handsets with high-definition 720p displays. – More flexible storage: Windows Phone 8 supports removable MicroSD cards, so you can stuff your phone with extra photos, music, and whatever else is important to you, and then easily move it all onto your PC. – NFC wireless sharing: If you haven’t heard the term “NFC” yet, I’m betting you soon will. This emerging wireless technology lets phones share things over short distances. In Windows Phone 8, it helps make sharing photos, Office docs, and contact info easier—just tap your phone another NFC-equipped device. How cool is that? – Internet Explorer 10: The next version of Windows Phone comes with the same web browsing engine that’s headed for Window 8 PCs and tablets. IE10 is faster and more secure, with advanced anti-phishing features like SmartScreen Filter to block dangerous websites and malware. 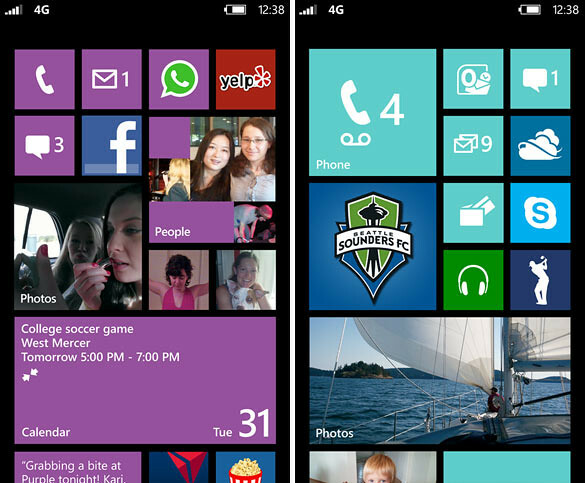 – Wallet: Windows Phone 8’s new digital Wallet feature does two great things. It can keep debit and credit cards, coupons, boarding passes, and other important info right at your fingertips. And when paired with a secure SIM from your carrier, you can also pay for things with a tap of your phone at compatible checkout counters. – Better maps and directions: Windows Phone 8 builds in Nokia mapping as part of the platform. Our partnership will provide more detailed maps and turn-by-turn directions in many countries, plus the ability to store maps offline on your phone so you can work with maps without a data connection. – Cooler apps and games: Basing Windows Phone 8 on the Windows core will unleash a new wave of amazing apps and especially games, for reasons I’ll touch on in a moment. They have also introduced a new homescreen! Users now have more control in customizing it with adjustable size for Live Tiles and more colours. Apart from Windows Phone 8, they have also announced Windows Phone 7.8. Why? That’s cos all current devices will not be able to support WP8, hence they are rolling our WP7.8 which brings some of the cool features to the current Windows Phones. 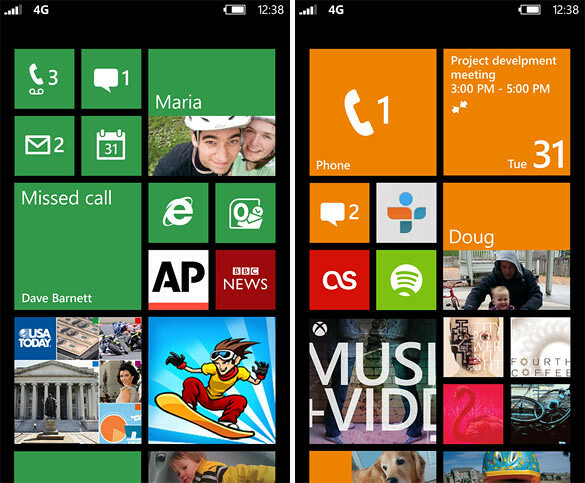 Some of you have been wondering, “Will we also get Windows Phone 8 as an update?” The answer, unfortunately, is no. Windows Phone 8 is a generation shift in technology, which means that it will not run on existing hardware. BUT we care deeply about our existing customers and want to keep their phones fresh, so we’re providing the new Start screen in this new update. Check out this video of the new homescreen. One Response to "Microsoft Introduces Windows Phone 8 [video]"